Well, wonder no more, because at Barber Motorsports Park this weekend, someone has found that out for us. Cleaning the (very) outside line of Turn 3 at phenomenal speed, the driver dipped a wheel on the grass, got sideways, and rolled it. 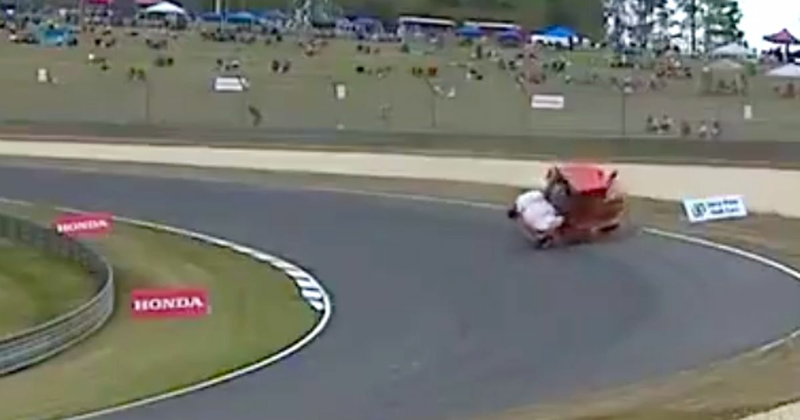 The driver appeared to be OK (well, presumably apart from the embarrassment of rolling a track sweeper) but the incident required a bit of a clean-up operation which delayed an upcoming Mazda MX-5 race. As for the IndyCar race? Takuma Sato utterly dominated from pole, despite an off-track excursion in the closing stages, while Scott Dixon recorded his sixth second-place finish at a circuit he’s never won on.